Rogelio Cabral or “Ro” as his friends call him was elected President of the FFMA at the meeting in in Tempe, AZ. He was born in Mexico and move to United States in 1979. Coming from an Immigrant family, he admits, the beginning was a bit rough. However, he was fortunate to overcome challenges of living in the USA and humbled to where he is today. He graduated from the University of Milwaukee in 1993 with BBA in Finance. Through his early years, he was heavily involved in many sports including Boxing. “I was blessed with the ability to compete at a high level in Boxing. One national championship and finished runner-up 3 other times at the national level. 14 State and Regional Championships as well as represented the United States in 5 international competitions”. He has been in the Financial Service Field since 1993. Two years later, he moved to the frontline as a Personal Banker in a branch setting and worked there for a year and a half. From there he was promoted to Relationship Banker and acquired his Life and Health Insurance license as well as his Securities Licenses Series 6 and 63. In 2000, he was the sole representative from the state of Wisconsin to be invited to the National Retail Investment Conference for personal production in all areas of retail, banking services, loans, investments and convenience products. He then was promoted to Investments Advisor in 2000 and continued to work for Chase until 2003. 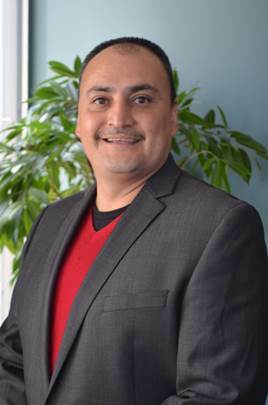 He joined Catholic Knights in June of 2004 and began to work on setting up the foundation for a Hispanic Agency that he began to build in January of 2005. He was able to surround himself with a solid group of Advisors. Together, with the hard work and support of a great team as well as recognition from the Home Office Management team, the Hispanic Agency has 16 advisors working the greater Milwaukee, Madison and Green Bay, WI and Greater Chicago Area. In 2011 he was promoted to Vice President of Sales at Catholic Financial Life (formerly known as Catholic Knights/Catholic Family). One of the proudest fraternal accomplishments over the last 13 years, has been to raise over $150,000 in local events supporting the community, Catholic schools, and parishes. He states that “working with our branch system and with the support of Advisors, we will continue to give back to our local Catholic community”. His personal accomplishments are numerous, but the ones that stand out are Advisor related. He was Rookie of the Year 4 consecutive years, Life Producer of the Year, 100 Lives producer, Presidents Club, VP Club and Directors Club Qualifiers. Ro is Life and Health Insurance Licensed, Securities License Series 6, 7, 63, 26 and is a FIC, Fraternal Insurance Counselor.